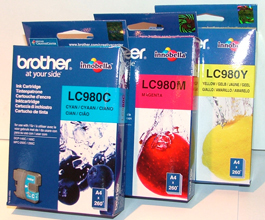 Home / Brother / MFC Series / Brother MFC290C / 2.LC980-1100Set4C – FULL SET OF 4 Guaranteed HIGH YIELD (XL) Brother Compatible Ink Cartridges – Delivered FAST & FREE! 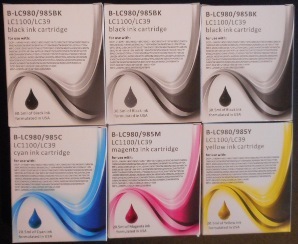 2.LC980-1100Set4C – FULL SET OF 4 Guaranteed HIGH YIELD (XL) Brother Compatible Ink Cartridges – Delivered FAST & FREE! 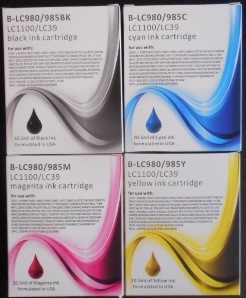 FOUR HIGH YIELD (30ml Black and 19ml per colour) trouble-free cartridges. If you prefer a different mix just tell us which 4 on the order page – NO PROBLEM! 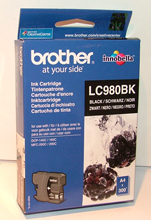 LC980C-M-Y – Set of 3 Genuine Brother LC980 260 page Colour cartridges – delivered FAST & FREE! 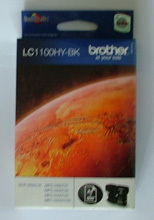 1.LC980-1100BB – BARGAIN BUNDLE of SIX Guaranteed HIGH YIELD (XL) Brother Compatibles – delivered FAST & FREE! 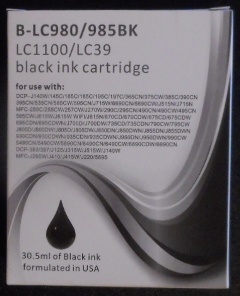 LC1100HYBK – Genuine Brother HIGH YIELD BLACK Ink Cartridge – delivered FAST & FREE!